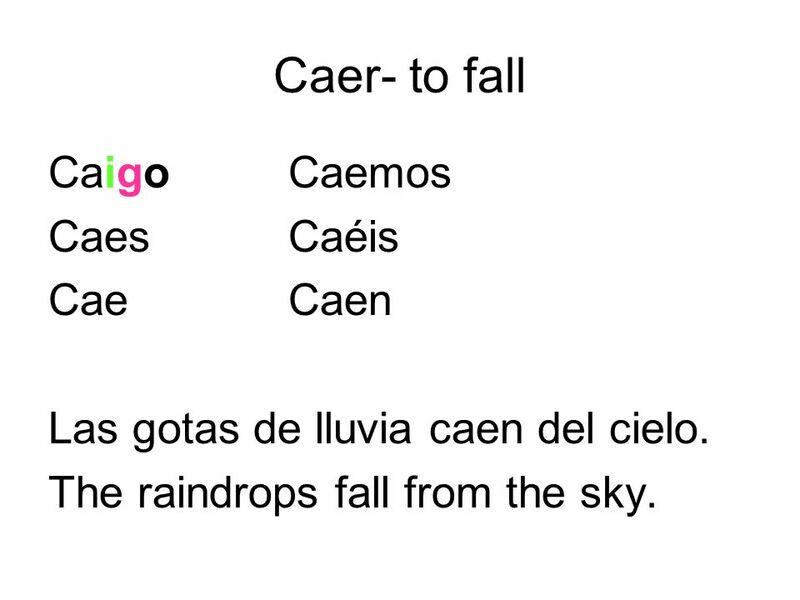 2 Caer- to fall CaigoCaemos CaesCaéis CaeCaen Las gotas de lluvia caen del cielo. The raindrops fall from the sky. 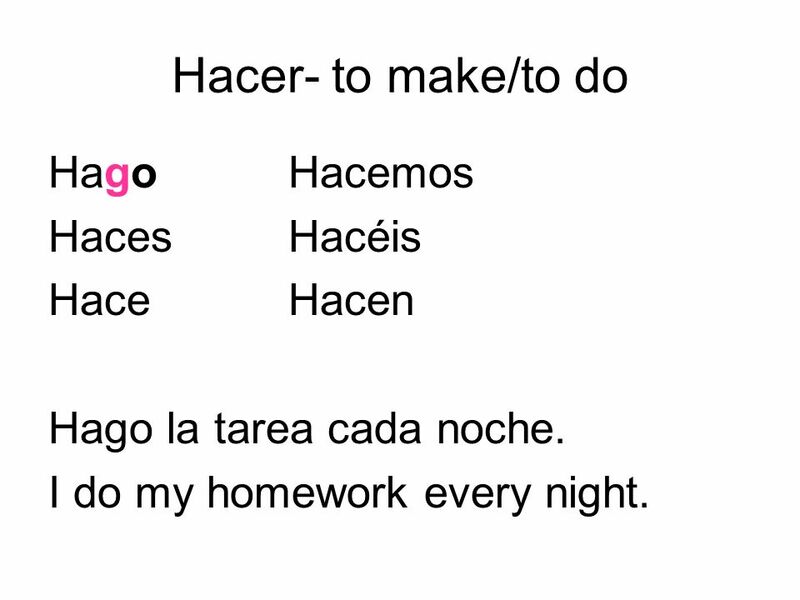 3 Hacer- to make/to do HagoHacemos HacesHacéis HaceHacen Hago la tarea cada noche. I do my homework every night. 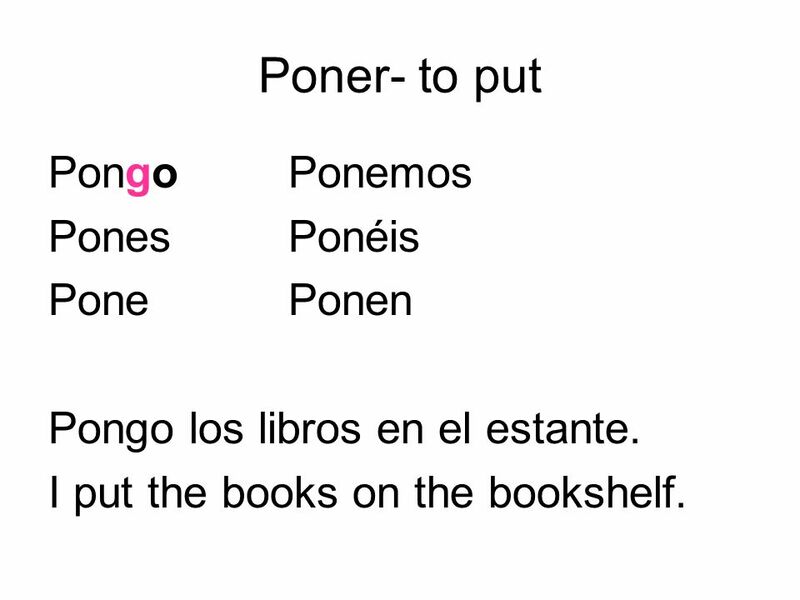 4 Poner- to put PongoPonemos PonesPonéis PonePonen Pongo los libros en el estante. I put the books on the bookshelf. 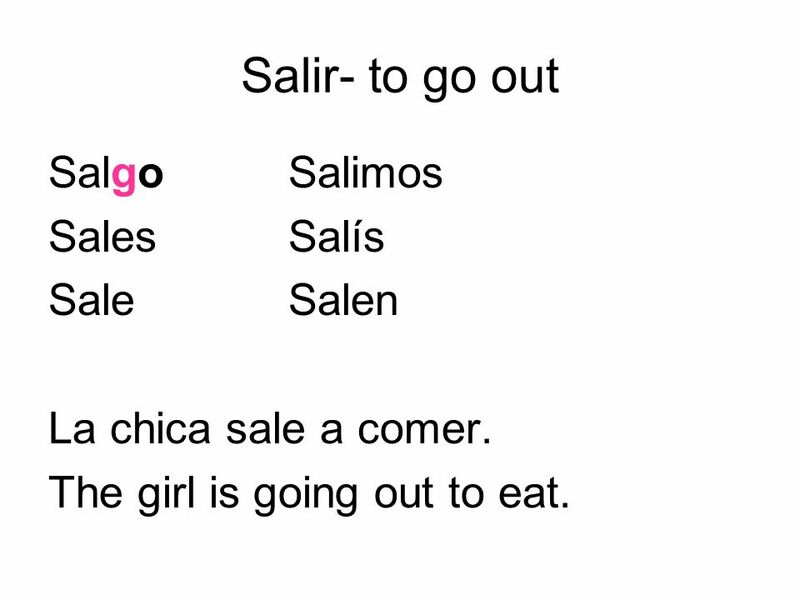 5 Salir- to go out SalgoSalimos SalesSalís SaleSalen La chica sale a comer. The girl is going out to eat. 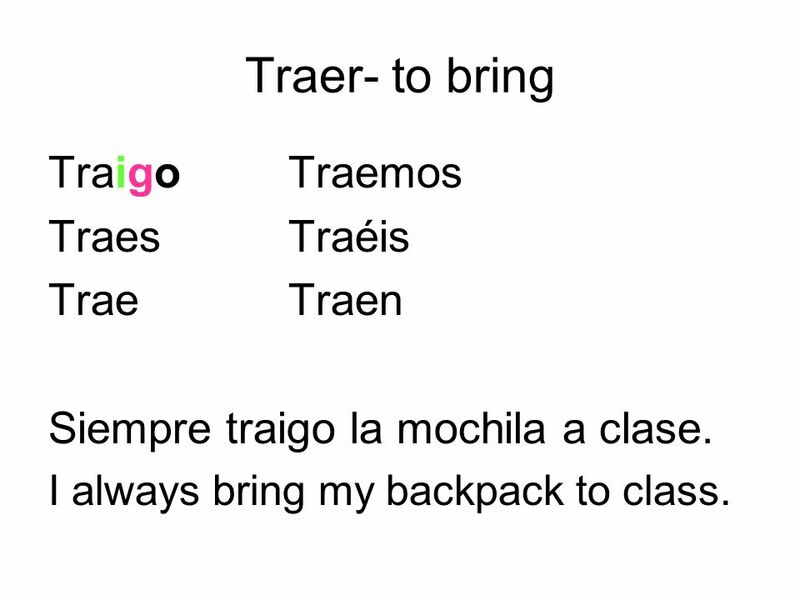 6 Traer- to bring TraigoTraemos TraesTraéis TraeTraen Siempre traigo la mochila a clase. I always bring my backpack to class. 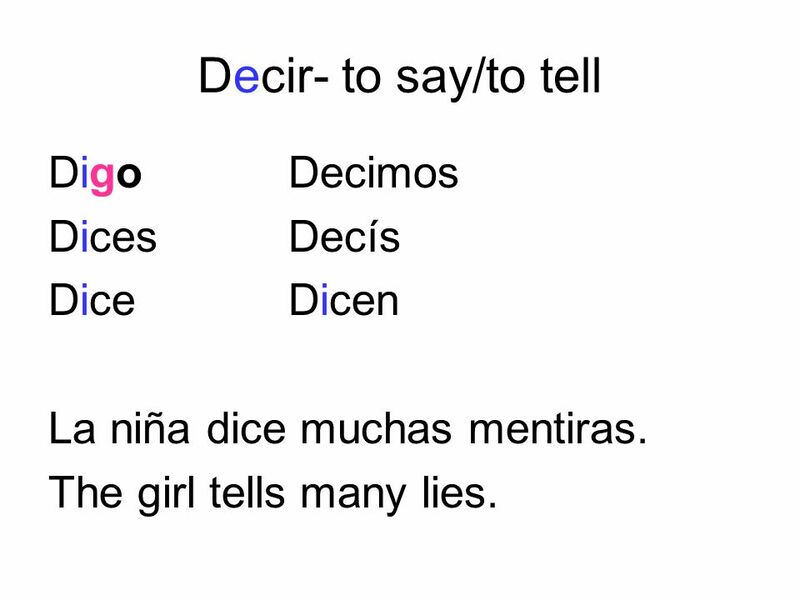 7 Decir- to say/to tell DigoDecimos DicesDecís DiceDicen La niña dice muchas mentiras. The girl tells many lies. 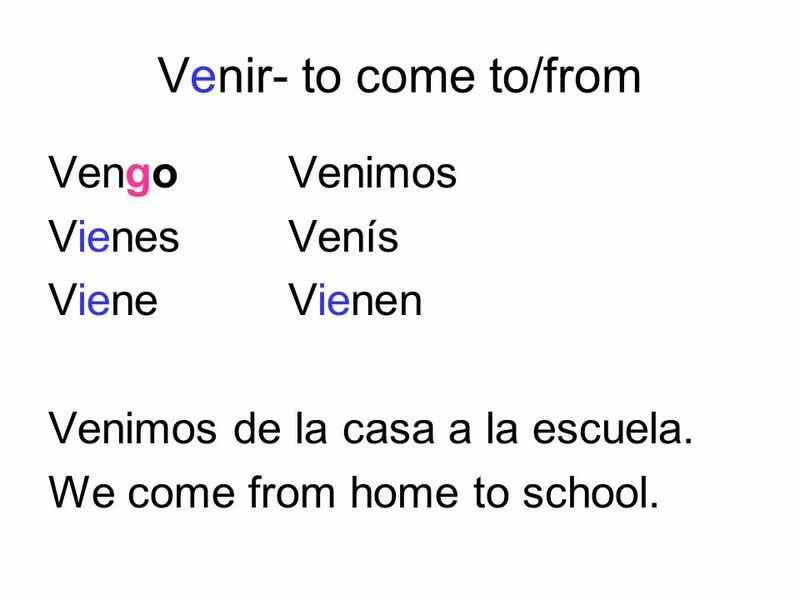 8 Venir- to come to/from VengoVenimos VienesVenís VieneVienen Venimos de la casa a la escuela. We come from home to school. 9 Tener- to have TengoTenemos TienesTenéis TieneTienen Tengo dieciséis años. I am (have) 16 years old. 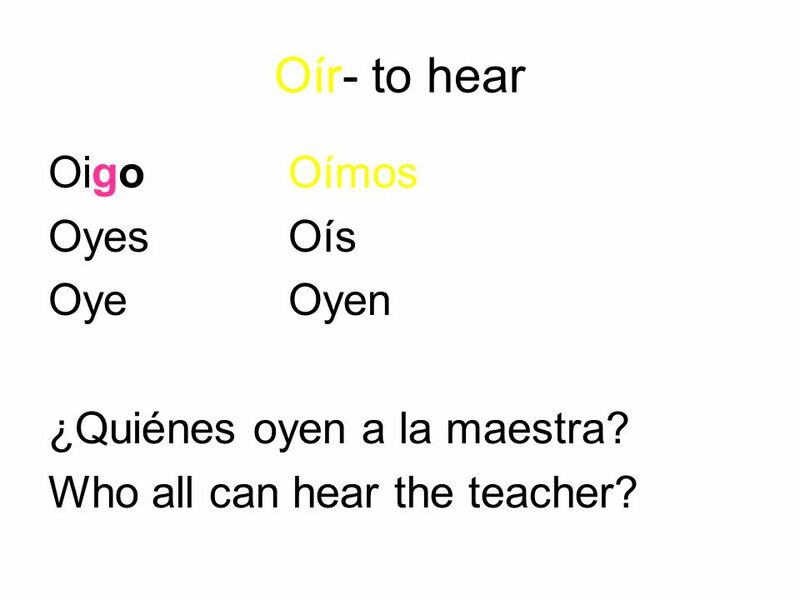 10 Oír- to hear OigoOímos OyesOís OyeOyen ¿Quiénes oyen a la maestra? Who all can hear the teacher? 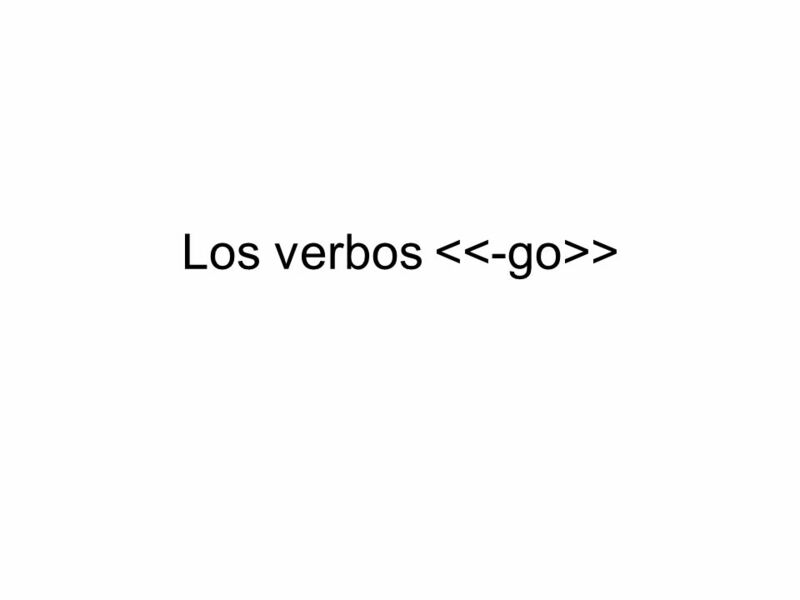 Descargar ppt "Los verbos >. Caer- to fall CaigoCaemos CaesCaéis CaeCaen Las gotas de lluvia caen del cielo. The raindrops fall from the sky." 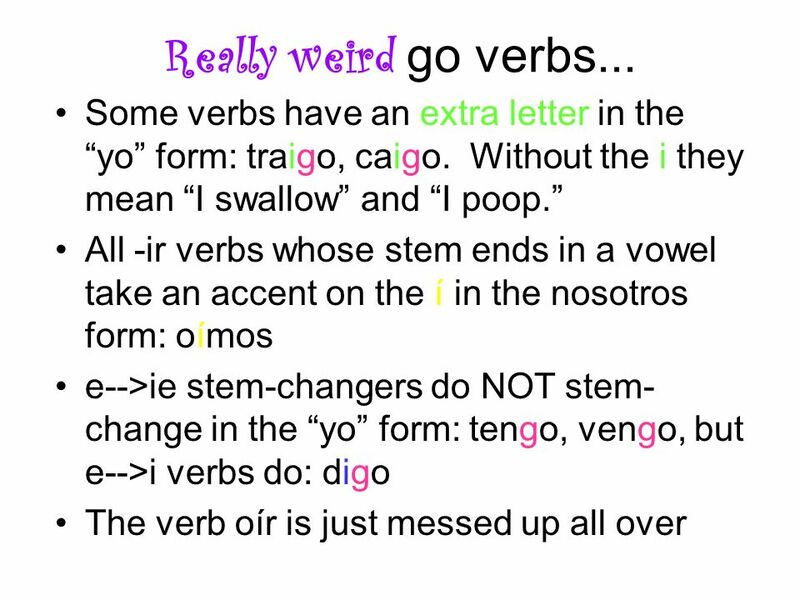 The Go-Go verbs Tener, Poner, Hacer Salir, Decir, Venir. 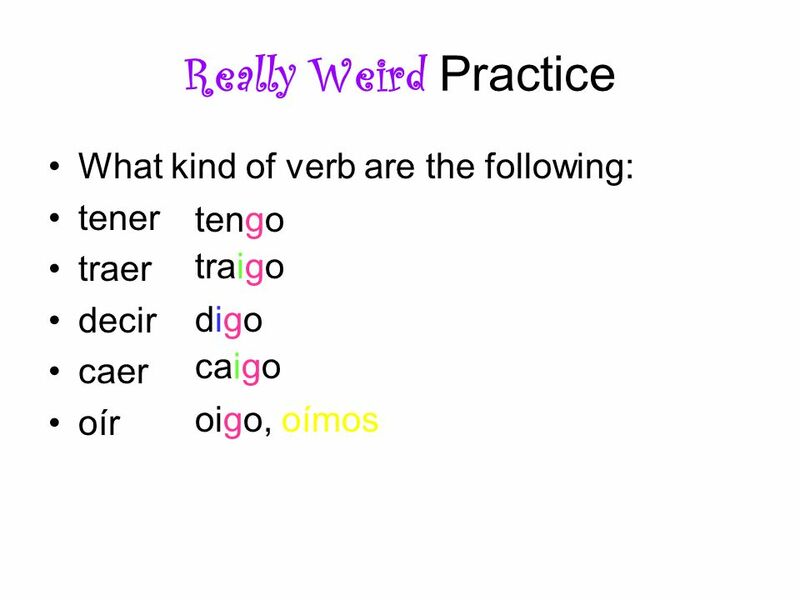 Verbs like gustar P. 148 Avancemos 2. El verbo tener—to have Cap. 1A, pág. 15. 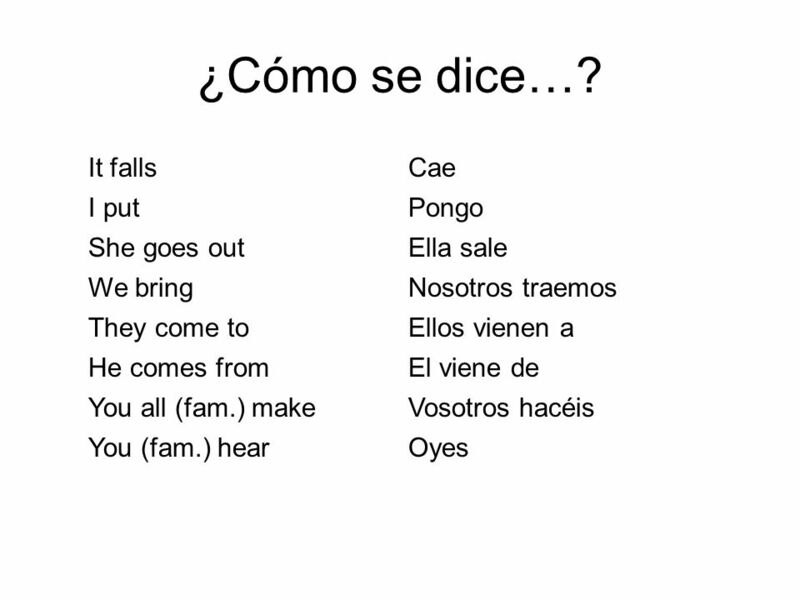 THE VERB TENER Spanish 1- 9/23/13 Sra. Baldwin. 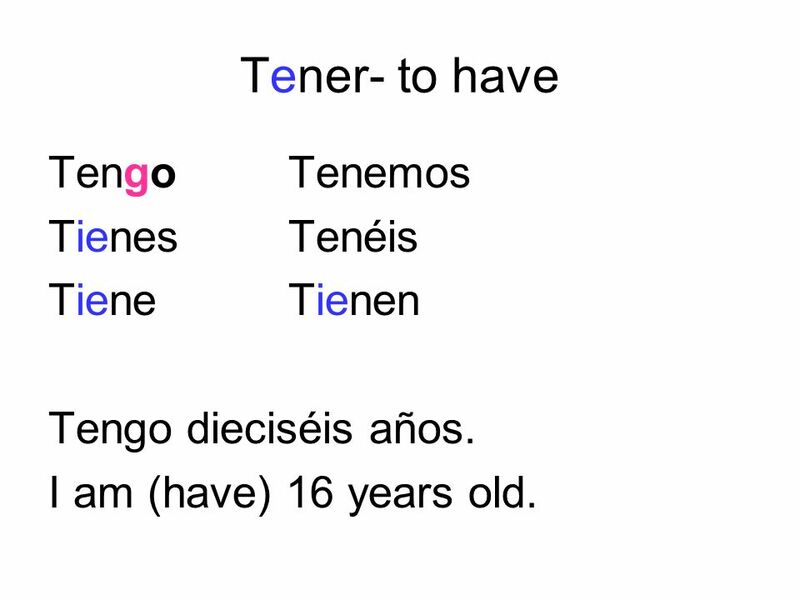 TENER Tener is a verb that means “to have”. It has irregular forms (does not follow a pattern) and must.